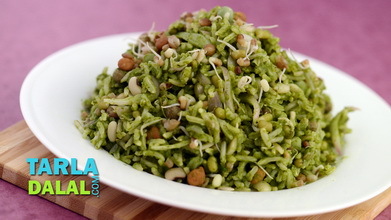 The magic of sprouts unfurls in yet another form in this recipe. 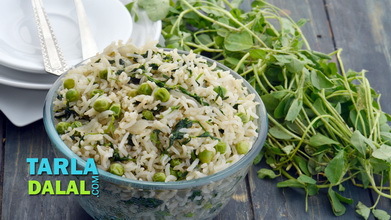 Rice and moong sprouts are cooked together with flavourful fenugreek leaves, whole spices, pastes and powders, to get a fantabulous pulao that is both tasty and satiating. 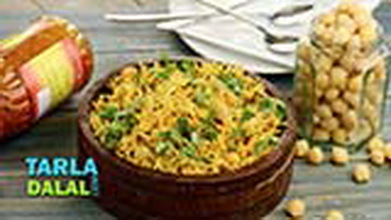 The addition of tomatoes does wonders to this recipe because its tartness works beautifully with the mild bitterness of methi giving this Sprouted Moong Methi Pulao a memorable flavour and enticing aroma. 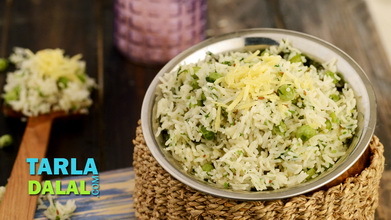 Since the pulao is already brimming with flavours, you don’t have to break your head over accompaniments – just a bowl of raita will do! 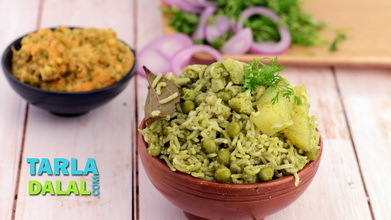 Check out our book ‘Cooking with Sprouts’ for more such delicious recipes. 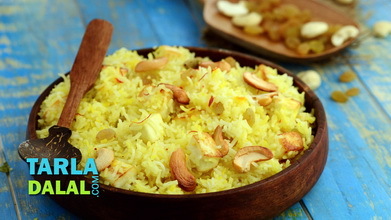 Clean, wash and soak the rice in enough water in a bowl for 10 minutes. Drain and keep aside. Heat the oil in a pressure cooker, add the peppercorns, cinnamon, cloves, cardamom and onions and sauté on a medium flame for 1 to 2 minutes. Add the ginger-garlic paste and tomatoes and sauté on a medium flame for 2 minutes. 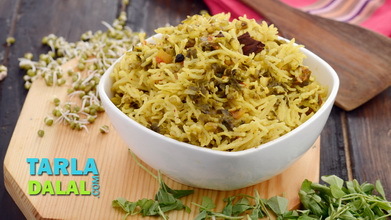 Add the fenugreek leaves, sprouted moong, turmeric powder and garam masala and cook on a medium flame for 1 minute. 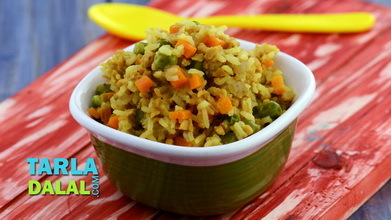 Add the soaked and drained rice, salt and 3 cups of hot water, mix well and pressure cook for 2 whistles.